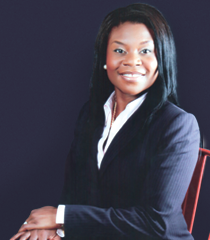 Lade Araba is a senior development finance professional with over 16 years of professional experience. She is the Africa Region Representative at Convergence Finance and Co-Chairs the Advisory Board of EED Advisory. She previously served as Technical Adviser to the former Minister of Finance of Nigeria and was the Head of the Strategic Monitoring Unit. She was also an Adviser in the Power Sector Team at the Nigeria Infrastructure Advisory Facility (NIAF), a Technical Assistance Program funded by the UK Department for International Development (DFID). Ms. Araba is a strategic leader who is adept at building strong partnerships with public and private clients. She supported the promotion of viable enterprise development in emerging markets at the QED Group LLC, where she also provided technical support to the USAID Micro-enterprise Development Office. While working for the United Nations Food and Agriculture Organization (FAO), she researched the factors that contributed to the decline of key agricultural commodities in Cameroon, Kenya, and Nigeria and presented recommendations on how to re-create value and improve export competitiveness in three FAO published Working Papers. As a Senior Investment Officer at the African Development Bank, she played key roles in deal origination and appraisal, and received Board approval for senior loans to several infrastructure projects across Africa. Ms. Araba was actively involved in business development activities and regularly represented AfDB at international forums and conferences, identifying project leads and presenting analytical work on the African infrastructure sector. As Technical Advisor to the Executive Secretary of the United Nations Economic Commission for Africa (UNECA), she advised on the requirements for financing regional infrastructure projects, promoting intra-African trade, as well as private sector development. Her African Trade Policy Centre (ATPC) published Working Paper on the building blocks required for the African Continental Free Trade Area (CFTA) was well received by African Ministers of Trade and led to the adoption of a resolution to implement the CFTA by African Heads of State and Government at the July 2012 African Union Summit in Addis Ababa, Ethiopia. Ms. Araba holds a Master of Business Administration (MBA) degree from Thunderbird, School of Global Management and a dual Bachelor of Business Administration degree in Management Information Systems (MIS) and International Business from the University of Oklahoma (2001). A native English speaker, Ms. Araba is fluent in French and Italian, with basic knowledge of Spanish and Yoruba. She is one of three recipients of the prestigious 2011 Mo Ibrahim Leadership Fellowship. She is also a Fellow of the Archbishop Desmond Tutu Leadership Fellowship and is a member of the African Leadership Network (ALN). Ms. Araba enjoys fine cuisine, a good book, as well as tennis, basketball, and golf. She is happily married.